Today I was at one cutomers and they had two Windows 2003 domain controllers. They bought another server and wanted to install domain controller on Windows 2008 R2. Why do I have just cs-cz directory on my DVD even I use only english distros of DVDs? Why did adprep say it’s missing directory? 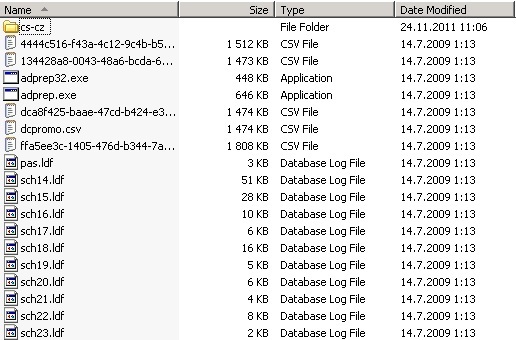 Why adprep log was empty? Why do I have English adprep even the directory was called cs-cz (Czech Republic)? Why did adprepr didn’t fall into only one directory available? I don’t think M$ will ever answer this question and neither they will fix it. 🙂 But thing is that when I was missing en-us directory, I could press “C” and Enter and adprep would do its job done and I would never know what has been done. No problem. I’m happy it helped you out. I’m glad I could helped.